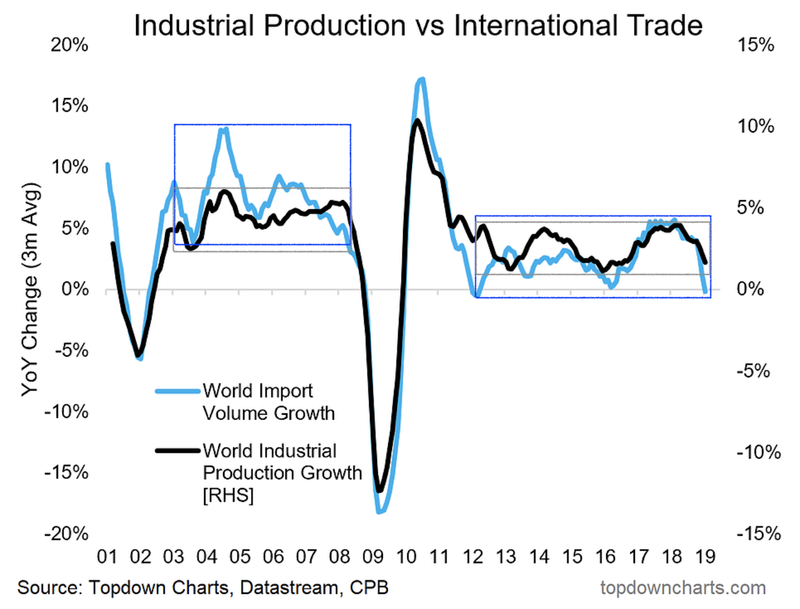 The great convergence of simultaneously declining global trade flows and industrial production: Via topdowncharts.comThe trend is also evident from the global manufacturing and composite PMIs (see https://trueeconomics.blogspot.com/2019/04/4419-bric-manufacturing-pmis-for-1q.html and https://trueeconomics.blogspot.com/2019/04/6419-bric-services-lead-manufacturing.html). Note the range bounds for two periods (pr-GFC and post-GFC) in the first chart above. 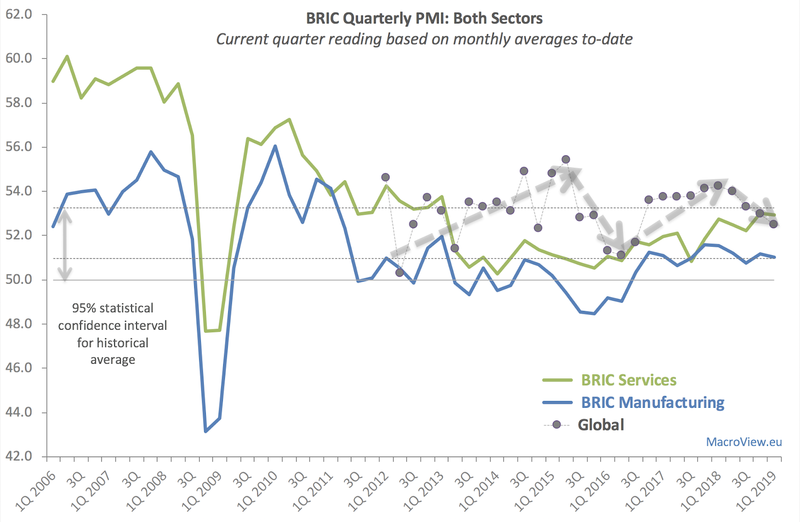 The trend is also evident from the global manufacturing and composite PMIs (see https://trueeconomics.blogspot.com/2019/04/4419-bric-manufacturing-pmis-for-1q.html and https://trueeconomics.blogspot.com/2019/04/6419-bric-services-lead-manufacturing.html). Note the range bounds for two periods (pr-GFC and post-GFC) in the first chart above.